On the main floor in the room behind the trophy case. Megaminx is a tentative event. Please read the Schedule tab for more information about that. Cubes will be sold at the competition by Olliver's Twisted Puzzles. There is a 120 person competitor limit, so don't wait too long to register. Only food from the University of Utah is allowed in the room. The parking lot right by the Union Building will be free the day of the event. Registration is online only. Registration will not be accepted at the door. Registration is not considered complete until payment has been received. As always, make sure you are familiar with all the regulations. If you are new to competing, You may want to check out this competitor tutorial video. This schedule is tentative. Please check this schedule a few days after registration closes! If we finish an event early, we will immediately move on to the next event unless we can fit a tentative event in without causing the next event to go late. Please arrive early to your event. Megaminx is currently the only tentative event. It will only happen if it can be fit in without causing the next event to go late. 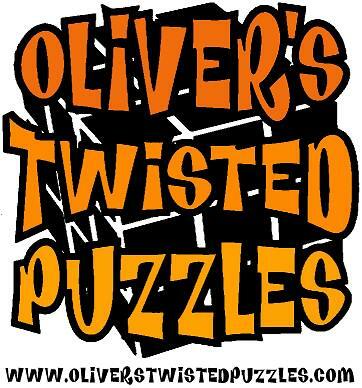 Our sponsor for this competition is Oliver's Twisted Puzzles. Oliver's Twisted Puzzles will be selling cubes during the competition. Below are the groups for the first rounds of all events. The second table displays the groups that people are scrambling. Group Scrambling (If your name is not present, you will not be scrambling first rounds). The competition is being held in the Union Building at the University of Utah. Once inside, you will want to go straight until you see a trophy case. Take a right after the trophy case and then a left to make it to the venue. There are busses to get to the Union Building through the UTA busses. The UTA is very cheap public transportation. Here is a map of the busses. The blue and green busses on the map will take you to the Union Building. Food is not supposed to be eaten inside the venue and the food court is closed on weekends. There are sometimes food trucks outside, but the information is not disclosed with anyone until the day of the events. You may eat in the Union Building (as far as I'm aware), just not inside the room the competition is held in. There is a place at Lassonde (I think it's a 5 minute walk each way from the venue) that offers some food (it's been a while since I've been there, but I know they have at least snacks). There are other places nearby off campus, but they aren't walkable. Since food is further away, you may want to find someone who's not competing in 5x5 to grab something for you. The Pie Pizzeria does deliver to the campus and is located pretty closely. I've also seen Dominoes get delivered.